The founder and chief executive of Maximum Media shares his tips on how to make the most out of a niche in a competitive market, following the launch of his latest venture Joe.co.uk. I realised very quickly in my career that to become a leading digital media brand you must constantly be innovating, always looking for an opportunity to do something that hasn’t been achieved and utilising the advances in technology to create something people will love and use daily. This takes a relentless energy and overall a desire to do something differently. One of the most important factors for any brand existing within the media ecosystem, given the pace of the industry we work in, is to always operate with a sense of urgency. Our business philosophy across the group would be relentless urgency. It is something I have in myself and in my view that is the best way to run a business. Something needs to be done next week? if you can do it tomorrow, do it tomorrow. I like to be the person who punches above their weight. It makes you hungrier and it makes you leaner from a business perspective. 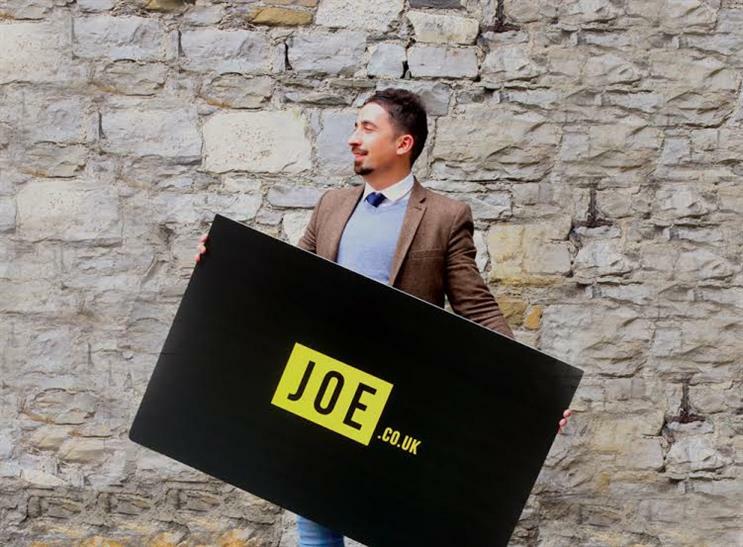 Following the profitable acquisition of my first company, a nationwide marketing agency at just 28, I was hungry for another challenge and followed my passion for media to create Joe.ie, the first lifestyle website dedicated to the interests and passions of modern Irish men. The site now attracts three million unique visitors per month and is continuing to grow every day online and across social. After spotting an emerging digital industry in Ireland, the success of Joe enabled me to create the Maximum Media Group with my friend and former Irish rugby international Jerry Flannery. Maximum Media grew with incredible success launching four other lifestyle brands that now welcome a combined audience of over seven million unique users per month and the largest social audience of any media organisation in Ireland. Late last year I felt there was a gap in the UK market for a site like Joe because as a 100 per cent digital brand, we didn’t see any other clear competition. It’s true, there are a lot of people publishing male content. You have late 1990s titles like FHM but they aren’t a brand that’s satisfying today’s astute social media audience. They are restricted by their heritage as a print title and therefore don’t approach daily digital content in the same way, impacting their ability to create a world-class digital product. Then you have websites that are an "after thought" of a big Facebook page that was set up by people who aren’t intuitive publishers. Sites like Uni Lad and The Lad Bible created big social media channels and then retro fitted a website to monetise their endeavours. The origin of their brand, their approach to content and their questionable attitude towards women would be a toxic environment for any brand to exist. All these gaps presented an opportunity for Joe.co.uk – a dedicated intelligent publisher with integrity, targeting the modern male who isn't delusion-ally aspirational but wants to be more than just a lad. He wants to be a man. The large social media audience that the site has amassed in such a short space of time just goes to show that UK men have been lacking something like Joe in their daily lives for quite some time. When launching any new product in a competitive space it comes down to the right people with the right ideas. People are the most important element – no matter how good the product is if you haven’t got the right people it will not be a success. Recruitment is a huge part of our strategy because ultimately this is a people-based business. Although there are technological changes that are happening on a daily basis, it is the people who are the strategic interpreters of how we utilise them for our digital brands. We spent a lot of time finding and attracting the right people for Joe.co.uk, often in fun unconventional ways. I found our multimedia producer Kristian von Streng Hæhre on Twitter working in Oslo, became a fan of his work and knew he would be an asset to our business both in the UK and in Ireland. Running a business can often be difficult. There are so many dilemmas on a daily basis that without the right people you are in big trouble. Talented people will find a way, an angle to compete, and that’s what people under estimate.